WD-40 could arguably be classed as one of the biggest brand names in the world, but even we started small. And it’s because of our humble roots in an R&D shed in California that we now have a passion for supporting the grassroots endeavours of the people who use our products. Last year we got the opportunity to support freeride legend Cam Zink and a new kind of FEST event, dubbed ‘Biggest Little Fest’. 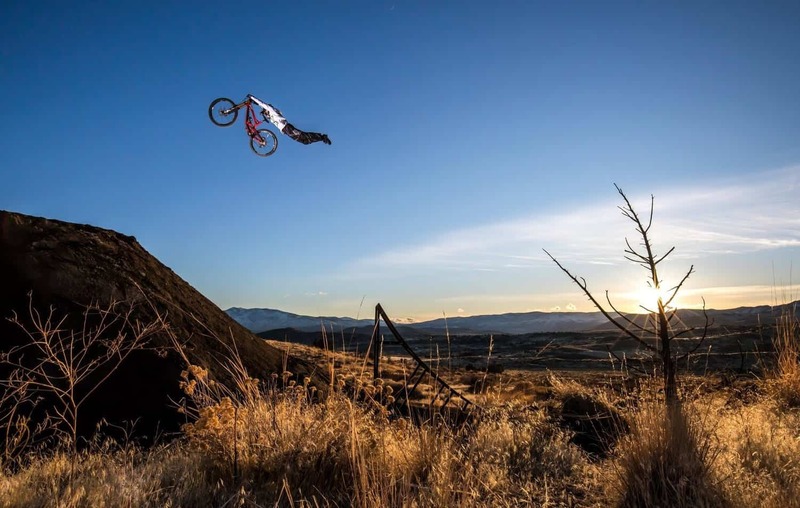 Outside of his hometown of Reno, Nevada, Cam bought 169 acres of land and set about building a series of trails and runs to suit all kinds of freeride styles, pitching it as an event for bikers, by bikers. The emphasis was on fun, freedom, and a little bit of craziness, bringing together people from across the circuit to have a great time without the constraints of competitions, timings, corporate ties or TV-friendly content. If Biggest Little Fest represented one thing, it was about doing what you love, and that’s a mantra we can really relate to. Here at WD-40, we were thrilled to back the Biggest Little Fest, making the highly select shortlist of favoured brands that riders feel truly support the sport. Bike riders make up a huge proportion of our target audience, so much so that we have developed a range of BIKE products directly for the cycling community. So to work with some of the freeride sport’s most exciting riders and help them develop this kind of event was an honour. Take a look at this awesome highlights video to witness the big air, crazy stunts and downright joy that came out of Biggest Little Fest. Special shout out to Cam Zink and his team who gave the rest of the world a chance to see freeriding at its very best.